KAMIKAZE-Collection is a revolutionary range of high-end boutique car care products designed and manufactured in Japan, home of ceramic coatings. Combining state-of-the-art technology with traditional know-how, KAMIKAZE-Collection prides itself on delivering truly innovative and unique products without the typically associated hype. The Professional-only series of coatings from KAMIKAZE represent the absolute highest level of technologies and performance within the product range. The only way to have these products installed on your vehicle is to visit either a Master Installation Center or the network of Certified Detailers. The Consumer / Detailer series of KAMIKAZE coatings are available to everybody…from DIY consumers, to detailers, to our Master Installation Centers and Certified Detailer networks. Combining a high level of performance, great looks, and ease of use, these coatings will out-perform (and look better than) other companies’ professional-only products! 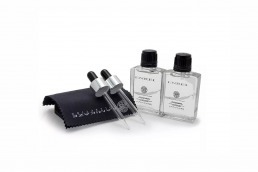 ENREI COAT by KAMIKAZE is the highest level of coating technology offered within the extensive range. ENREI Window Coat is a part of the pro-only series, and provides a very high level of long-lasting water repellency. ISM Pro Coating is a high-performance, single-layer coating available exclusively to our Master Installers, and Certified Detailers. MIYABI Coat is the #1 seller in the KAMIKAZE range for good reasons…it looks amazing on all paint types, it’s ridiculously easy to use, and within the coating world, it’s very affordable. Expected durability is 18-24 months. Non-VOC. 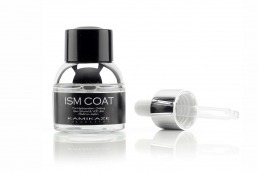 ISM Coat is the more technically advanced formula in the consumer / detailer series, and provides a deep, warm gloss. The solvent-free formula is non-VOC, and is also very easy to use when compared to the rest of the industry. 24-36 month durability.